Sea City is a former shipyard area that is currently undergoing the process of revitalisation. This is one of the main strategic objectives of the city, which wants to enhance the multifaceted and harmonious development of this site, thereby restoring its urban functions. The results of cooperation between the city and business investors will include the creation of a modern and prestigious district in Gdynia that will combine residential functions with those of business and services. In line with the provisions of the local spatial development plans drawn up by the city, the modern architecture being developed for this area is to fit in with the historical buildings, maintaining their merits. 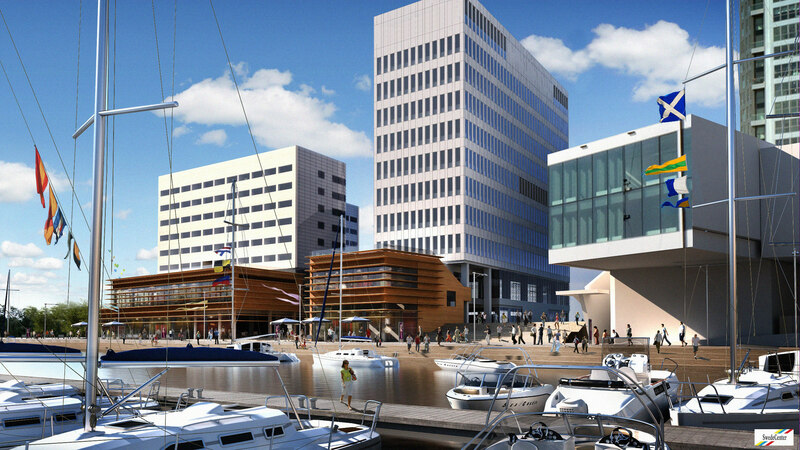 Gdynia, its inhabitants and tourists will gain areas that have not been accessible to them so far. The growing area for leisure, business and entertainment purposes will significantly enhance and improve the city’s attractions. Investors already have development plans for specific areas. Work on the first projects, which will soon change the landscape of this region of Gdynia to a considerable extent, is already in progress. 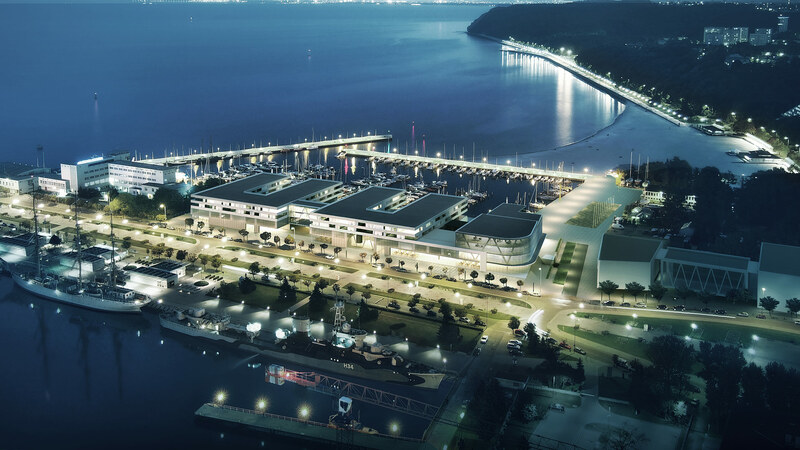 Areas that are undergoing revitalisation include the land between Sea Tower and Kościuszko Square, on which work on the Gdynia Waterfront project is underway. 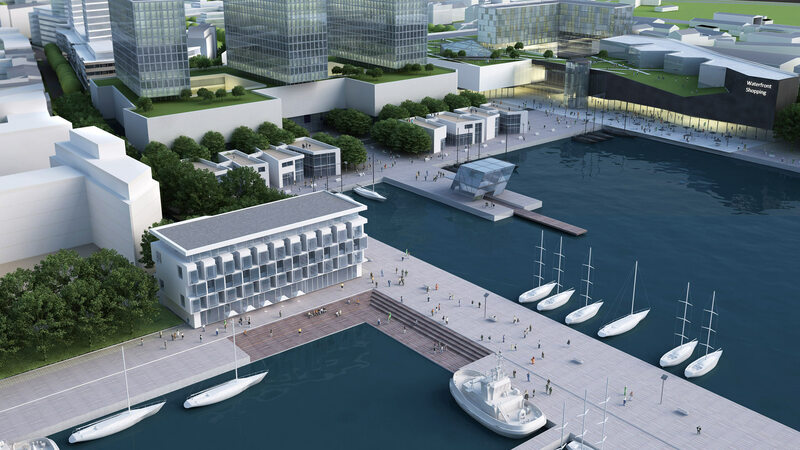 According to the plans, a modern office and residential complex complemented by commercial and service buildings will be built on the waterside of Fishing Pier. 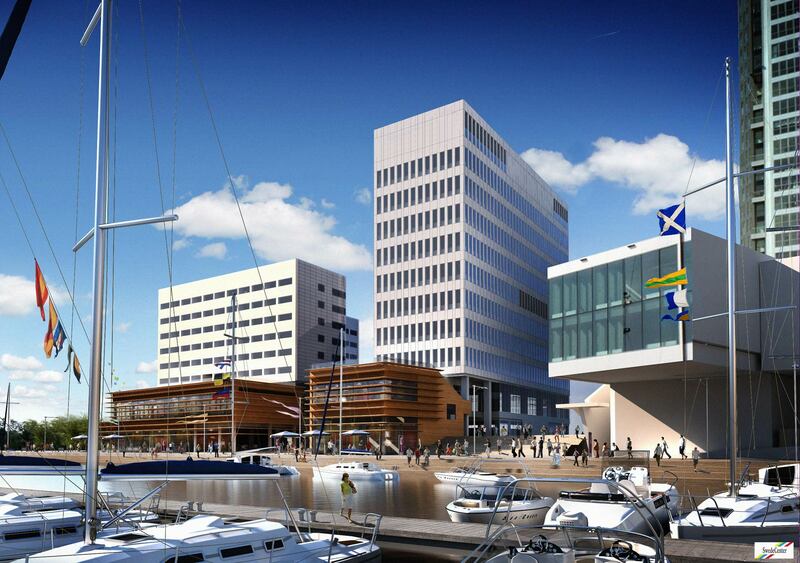 The new marina design has also been selected and construction work will begin in 2015. The former port areas intended to serve as a city centre cover approx. 71.6 ha. The investment area in this part of the city is approx. 33 ha. The local spatial development plans provide for a continuation of the system of streets, as well as the scale and form of buildings of the existing city centre in relation to pre-war plans. Furthermore, the location of tall and very tall buildings has also been designated for this area. Planners also took into account the contours of the city’s development, its alignment and appearance from the seaside, from piers in the external port, and from ferries and cruise ships. The city has prepared two spatial development plans covering the former port areas in order that investors may change the functions of these areas and create a new image for this part of the city.